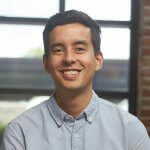 Darin is the Director of Content at Junto, a digital agency powered by freelancers. Darin is an avid reader who enjoys backcountry camping, snowboarding and minimalism. Google is constantly updating their namesake search engine to improve the user experience. The ultimate goal of these updates is to provide the best possible answers to any and all search queries. As Google’s popularity grew in the early days of the internet, businesses and marketers quickly realized how valuable a first-page search result could be. In attempts to claim some valuable first-page real estate, companies started implementing tactics designed to improve their search rankings. Some of these tactics were, and still are, perfectly acceptable. There is nothing wrong with optimizing a web page to make it easier for Google (and readers) to analyze. But some of these tactics are downright unethical. In the digital marketing world, this is known as “Black Hat” SEO. As we all know, Google is smart. They recognized these unethical and deceiving practices and took action. The search giant started tweaking their algorithms and issuing “penalties” to websites that violated Google’s quality guidelines. Sometimes penalties happen because of “black hat” practices. Sometimes they are honest mistakes by ambitious website owners. Regardless of why a site is hit with a penalty, it is a painful experience. This article outlines some of the most common Google penalties and what you can do to correct any issues and reverse the damage. But first, let’s cover some background information. How does Google discourage this? By stripping a website of all of its valuable search rankings. One day your site could be all over the first page of Google, ranking highly for a ton of keywords. The next day, after Google assesses a penalty, your website might not even rank for branded keywords (like your business name). Essentially, a Google penalty is an action taken by Google that negatively affects a website’s search rankings. That’s the basic definition. We’ll get into specifics in a bit. How Do Google Penalties Affect a Website? Google search penalties can have drastic effects on a website’s organic traffic. Junto has seen it first hand. 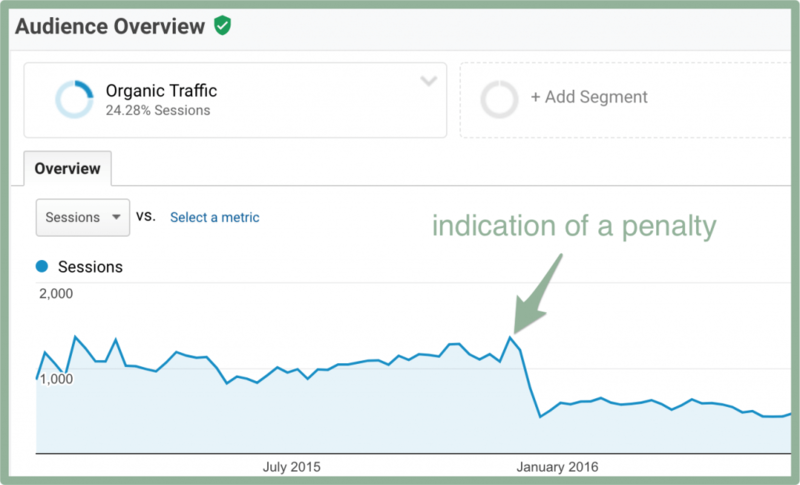 We worked with one client who saw a massive traffic decline stemming from a Panda penalty. In just a matter of days, they lost half of their organic traffic. And the penalty continued to affect them for several years. Fortunately, Junto was able to identify the penalty and reverse the steady decline in organic traffic. Check out our complete case study on the client to learn more about this reversal. Another client lost 80% of their traffic organic traffic after Google discovered it was a part of a private blog network. For full transparency, the client had no idea the site was part of a PBN. They purchased the website from a different owner only months prior. Junto identified the issue and completed a full Google penalty recovery. These things don’t just happen to smaller companies. Expedia’s stock prices dropped 4.5% after Google hit them with a penalty related to link buying. The music lyrics website Rap Genius was assessed with a penalty in 2013, which resulted in a drop of about 700,000 unique visitors per day. As you can tell, a Google penalty’s effect on a website can be dramatic. From organic traffic declines to significant losses in revenue, it’s obvious that a Google penalty is best avoided. How Can You Tell if You’ve Been Hit by a Penalty? If your site sees a massive decline in organic traffic in a short period, you could be the victim of a Google penalty. Thankfully, Google makes it easy to see if a Manual Action has been taken. In the new Google Search Console, you will see a notification at the very top of the home screen. If you don’t see anything there, you can also click on “Manual actions” on the sidebar. Sometimes you’ll need to look at historical data and compare it to Google algorithm updates to see if you’ve been hit with a penalty. There are several tools out there, like Barracuda’s Panguin, that integrate with Google Analytics that help makes this comparison. Now that we’ve covered what a penalty is and how you can identify if you’ve been hit by one, let’s look at some of the most common Google penalties. I’m going to skip over the super-sleazy penalties like cloaking or sneaky redirects because I’m assuming we’re all decent people here. If you’re trying to game Google by serving up fake content to Google and spammy content to your viewers, we suggest you change your ways and take a more natural approach to SEO and start focusing on content marketing. I’m also not going to talk too much about the details of Penguin or Panda or PageRank, because the history and details aren’t as important as what to do about them. I want to explain what the penalties are and how you can fix them. If you want to talk about the history of Google’s search algorithm changes and the impacts of Penguin on the modern SEO industry, call my buddy Pat. He can talk about this stuff all day. Buying and selling links is the most obvious infraction. Google explicitly prohibits websites from paying another website to link back to them. Participating in a Private Blogging Network (PBN) is another great way to be hit with a penalty, so don’t do it. If you’re unfamiliar with the term, a private blogging network is a web of sites used to build links to each other. If Google assesses a manual penalty against your website for questionable links, it is not the end of the (organic search traffic) world, yet. If you’ve been hit with a manual action, Google will provide a sample list of questionable links via Search Console. Otherwise, you can use a tool like Ahrefs to pull your backlink profile to view all of your backlinks and assess each one individually. The first thing you should do is remove any bad links back to your site. If you’re an owner of a network of sites, this is easy. If you’re not, you might need to send some awkward emails asking for a backlink to be removed. Next, what you need to do is disavow the unnatural links to your website by letting Google know you don’t approve of these sites. The fastest way to do this is to use submit a file to Google Search Console with the links you would like to disavow. 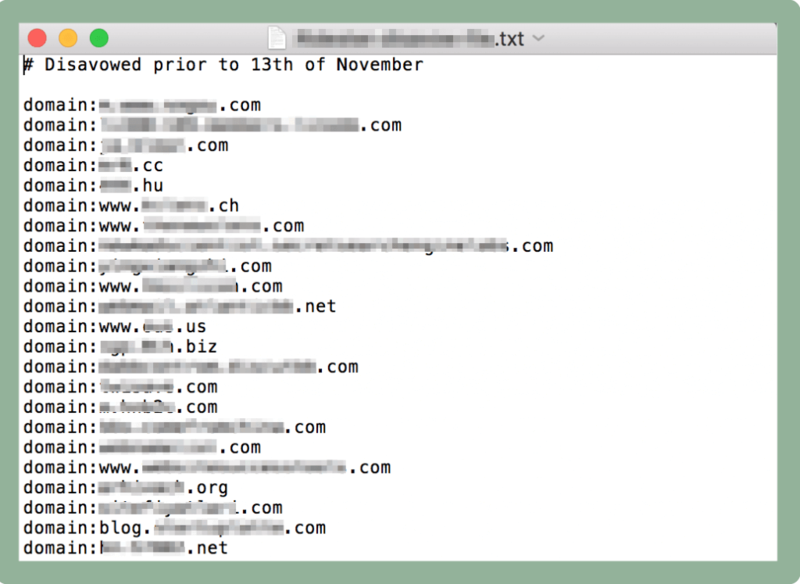 Here’s an example of a file we used to disavow bad backlinks to one of our client’s sites. These links were sent to our client’s site in a malicious attack from a competitor in hopes of hurting our rankings (yes, some people stoop low enough to do that). I’m grouping these together because they essentially mean the same thing: your content is not good. Google first addressed the issue of poor content with their previously mentioned Panda update. Google defines thin content as low-quality pages or shallow pages. Scraped content is content taken from another website and republished on your own without providing any additional value. The best thing you can do when you’re hit with a Thin Content manual action is to delete or improve the affected pages. If the page is necessary, consider adding more valuable information to it. Check for duplicate content on your site using a tool like SEMrush. Identify thin content by reviewing metrics like bounce rate and time on site. Delete or improve the affected pages. If you remove the page, make sure to 410 or redirect it. If you’re unfamiliar with 410s or redirects, check out this post which walks you through the process of setting up redirects and 410s. Once you’ve addressed the thin content on your site, request reconsideration from Google by using the reconsideration request tool in Search Console. Believe it or not, this used to work. But Google caught on pretty quickly and this spammy trick hasn’t been effective in over a decade. Another example would be if a site puts a ton of content on their site, but it is not readable by the user. People used to (and some still do) place hidden white text on a white background, or make the font size “0,” in attempts to trick search engines. This one is simple: don’t do it! If you want to rank for a target keyword, there is only one tried and true method: Provide the best possible webpage for that keyword. If you want to rank for “The Best Turkey Stuffing Recipe This Side of the Mississippi” (search volume: 0), you better provide the best damn turkey stuffing recipe this side of the Mississippi! If you’ve been hit with a penalty due to keyword stuffing, the best course of action is to delete all of those spammy keywords. 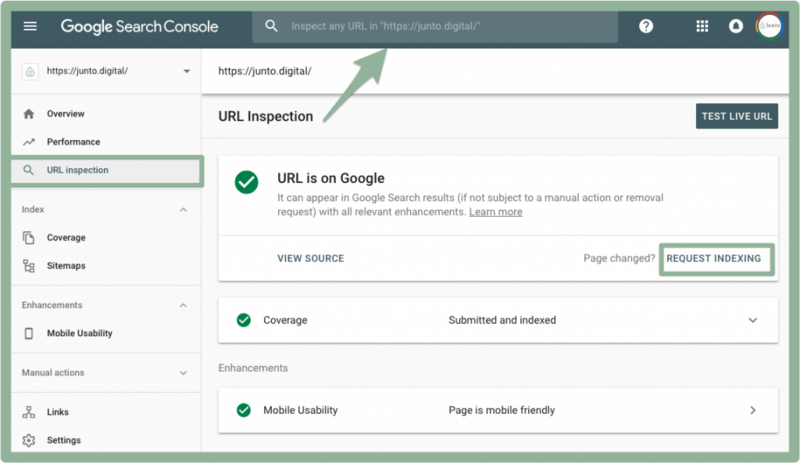 Once you’re done, submit an indexing request using Search Console’s fetch and render tool to have Google re-crawl your site. That covers the most common Google penalties that businesses see in 2019. Sure, there are a ton more, but they all have to do with one thing: attempting to trick Google with deceptive practices. The main thing to remember when creating your website is that your goal should be to provide original and high-quality content that provides value for your users. Never try to create content for search engines, create content for people and optimize it for search engines. The “it” in this scenario being valuable content for your readers that is optimized for search engines. If you suspect your website has been hit with a Google search penalty, give us a call or send us a message. We can identify any issues and reverse downward trends in organic search traffic.